Mail4Rosey: CampusBookRentals.com Better than your Average Textbook Rental Service! CampusBookRentals.com Better than your Average Textbook Rental Service! The amount of money spent in our house on textbooks is crazy. Hubby spent hundreds for this small stack of used textbooks that you see here. The amount of money my husband spends on textbooks each semester is staggering. If you are enrolled in higher education course work, I know you can relate. Thankfully, places that offer text book rentals are becoming more common. One of the best around can be found at CampusBookRentals.com. Keep reading to learn why! One thing you cannot help but like about CampusBookRentals.com is that for each and every textbook rented through them, they make a donation to Operation Smile. Operation Smile is an international children's charity that helps children in low and middle income countries to obtain safe & quality medical care for challenges associated with the mouth. Considering every three minutes a child is born with a Cleft, and that many of those born with one will have many significant challenges throughout their whole lives, it is a cause most decidedly worth supporting. Since 1982, Operation Smile has provided 22,000 free surgical procedures to children and young adults who otherwise would not have been able to afford/obtain it. The RentBack program is one that I've never heard of before. It's a cool, and profitable-to-you concept where you offer your textbook, and RentBack.com rents it out (offering you a pre-determined amount for each rental). They allow you to use their service to have your book rented over and over again, until your text is no longer in demand. When it's all said and done, you'll get your book back. That means you can repeatedly make money from the rentals, and not have to sell your book(s) back at all. I for one, am happy with the way options are expanding for obtaining textbooks, and CampusBookRentals.com seems to be blazing the trail for keeping things fresh and new. You can learn more about CampusBookRentals.com by visiting their website. You can also follow them on Facebook and/or Twitter. If you'd like to know more about Operation Smiley, you can visit their website. You can also follow them on Facebook and/or Twitter. If you're interested in the RentBack program, you can also pay a visit to that portion of the website. Seriously, where was this back when I was in college! What an awesome idea. I so needed this when I was in college--between accounting and environmental sci I spent a small fortune on books. I also love that they support Operation Smile. This is very helpful. Hope it will be around for a long time! I used CampusBookRentals.com my last semester in college! It was very helpful! The cat of college books are so high, it's great to have resources like this! I needed this when I was in college. I have heard of this a few times. Such a great way to save money. Wish I knew of this back when I was in College. I've rented books before and it was EASY. I definitely recommend it! I like this effort. Back when I was in college, we had the option to sell our books come end of a term. These books are then sold ( of course, at a much lower price ) to students the next term. I like how practical it is. When I was in college (pre-internet, of course) our only options were to (1) pay retail, (2) borrow/buy from a friend or (3) hope the books you needed showed up in the consignment sale put together by one of the service sororities. Renting text books? Nice. This sounds like a great way to save some cash! This is a great service for the student. Books are so expensive and the students don't really have that much money! This is a great value! Plus it's good for the environment to reuse instead of buying new! Great! I *always, always* rent my text books! It saves so much money. Oh I love Campus works and their work with operation smile! Its kinda like the bet of both worlds, getting cheaper books and helping a child out! It really is crazy how expensive textbooks are. I'm so glad they have rental services now. My son uses a few different companies to get his books. I'll have to see is my son knows about these! It sounds great for someone in college.. should have been at my time.. probably should help the students now. With two Granddaughters in College, this sounds great!!! This is great and this gives great options for students. That's a great service, I will share! I've actually used this service a few years back. I took some classes at University, decided I don't have the patience for that... Anyhoo, aha I used CBR and I had a good experience with them. We have been using Campus Book Rentals for my son who is taking college classes while he is still in high school. I've featured campusbookrentals.com on m blog too. 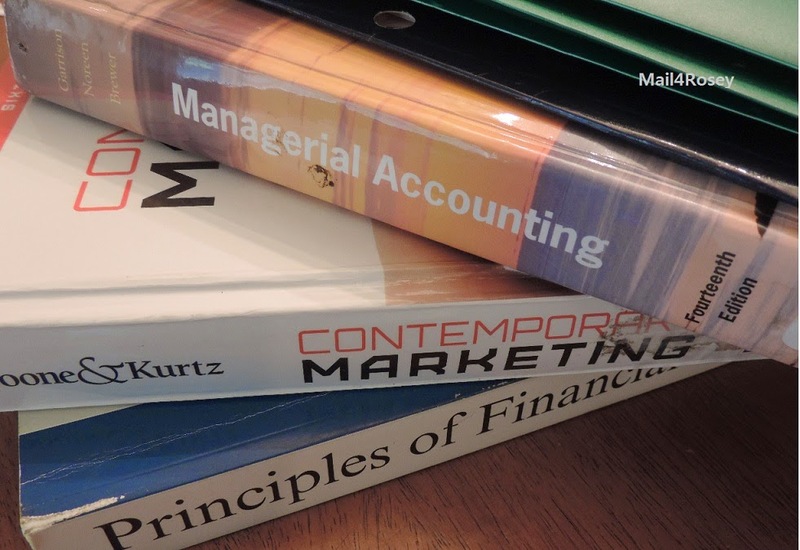 It's a great program for saving $ on costly textbooks. I wish this was available when I was in college! Great idea especially for college students who wants to spend money while learning. Fortunately I am past the text book rental day. But what a great idea, and thanks for letting me know about this. I will pass it on to my college-going family members. This is great to know. I am not in college but my Godchildren are. And not too long from now I will have 5 (hopefully) in college. WOW that sounds scary . I love that they are partnering with such a great charity! Thank you for sharing with us! Agreed, LaVonne! At a time when kids (college) are learning about fiscal responsibility and how expensive things can be, it's great that companies that are helping them save money are also (indirectly) teaching them about giving back. Such a great program. I've blogged about them before as well. I know a lot of people that rent their books. It is such a great Idea. I hated buying books and then going through the process of selling them back at the end of the year (and getting 10% of the value). So glad to see the market has changed. I think this is such a great service and I'm going to mention it to so many students on campus next month. This would have saved me so much money back in the day! What a fabulous idea! I remember spending a fortune on books, even buying used! I think this is such an awesome service! I will be using them a lot in 3 years when Mariah starts college! I wish this was available when I was in college! There was no renting, only buying :( Spent SO much money!!! I LOVE this service. Books are so expensive, we use this for my hubby. He went back to school and this saves us a ton of money. I really like this service.. its better then buying and hoping to return with some real value.. I've seen this service before, I've had a few friends use it. I have no use for it anytime soon. But I know it's a good one. This is such a great idea! College books were so expensive and often couldn't be sold back and weren't something I wanted to keep in most cases. This is such an amazing program, I hope college students are taking advantage of this! Books are such an expensive part of going to school any way you can save a little money would be a good thing. I love the idea that they donate some money to Operation Smile; it's one of my favorite charities! Kudos.